Arkansas senator Tom Cotton called on president-elect Trump to reimpose sanctions on Iran due to violations of nuclear deal. Republican Senator Tom Cotton (Arkansas) said in a Fox News interview that president-elect Donald Trump could reimpose sanctions on Iran. Cotton said that he agreed with Trump that the deal was "the stupidest deal I have ever seen". 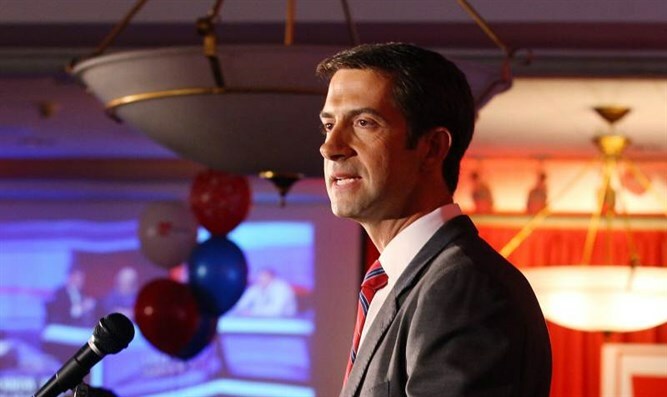 "Iran has already violated the agreement," said Cotton and added that "the Obama administration admitted just last week that they had once again violated the agreement. Congress in a joint effort with president-elect Trump can reimpose the sanctions on Iran and can work with our allies to reimpose the sanctions. We have a lot of leverage, we have by far the greatest economy in the world." Cotton said that "we can reimpose these sanctions when there are violations of the nuclear agreement and when there are violations of other obligations like not building ballistic missiles which can reach American troops or our allies and not funding terror of the type which has led to the deaths of hundreds of Americans and not destabilizing the entire region." Cotton confirmed that the Trump administration will approach Iran and other adversaries around the world in a much tougher way. Iran has been allowed over the last eight years to run wild. The president focused above all on getting the nuclear deal whatever the terms were and this is one of the reasons why Iran has been destabilizing the entire region. Iran must understand that Donald Trump will be a different kind of president."